The decision leaves automobile makers, primarily Tata Motors, Ashok Leyland and Hero, saddled with a large inventory of BS-III vehicles estimated to be worth Rs 6,000-7,000 crore at the end of the month. Companies were seeking time beyond April 1 to dispose of the existing stock. They now will have to offer steep discounts, ship products to BS-III export markets or invest to upgrade their products to BS-IV. This is the second major blow for the industry from the apex court in the past 15 months. In December 2015, the court had imposed a ban on sales of diesel vehicles with an engine of 2,000 cc and above in the National Capital Region. The ban, which primarily impacted Toyota and Mercedes, was lifted in August last year. Wednesday’s order also impacts others like SML Isuzu, VECV and Honda Motorcycle and Scooter India. Wednesday’s order was passed by a division Bench consisting of Justice Madan Lokur and Justice Deepak Gupta after a hearing over several days. 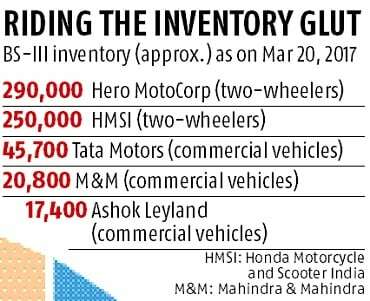 At the end of the month, companies, along with their dealers, might be left with an unsold inventory of 500,000-600,000 BS-III vehicles, mostly two-wheelers and commercial vehicles. The government, which had brought out the notification on BS-IV, had told the court that sales could continue after March 31. The notification had stated that manufacturers should comply with BS-IV norms from April 1, 2017, but was silent on the fate of vehicles manufactured before March 31 as far as sales and registration were concerned. “The number of such vehicles may be small, compared to the overall number of vehicles in the country but the health of the people is far, far more important than the commercial interests of the manufacturers or the loss that they are likely to suffer in respect of the so-called small number of such vehicles,” the court said. It said that only those vehicles sold on or before March 31, 2017, could be registered from April 1 only with proof. Share prices of many automakers reacted to this decision. 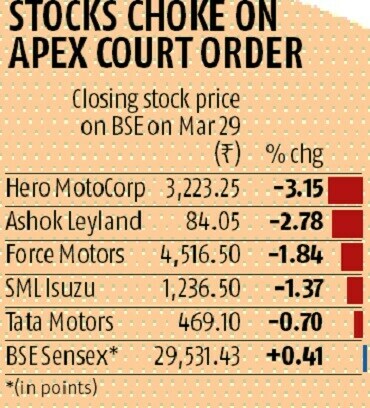 Hero MotoCorp, the country’s biggest two-wheeler maker, saw its stock slip more than 3% to Rs 3,223 on the BSE. Ashok Leyland’s share price declined 2.78% to Rs 84. Force Motors’ share declined 1.84% to Rs 4,516 and SML Isuzu slipped 1.64% to Rs 1,233. Stocks of companies that are less or not impacted remained in the green. Bajaj Auto’s stock closed at Rs 2,831, up 0.29%. However, export is not a simple option for every company. Manufacturers will need to suitably modify the vehicles to meet the local regulatory requirements in export markets. Over the next three days, dealers are expected to dole out heavy discounts to clear as much inventory as possible. Dasari said in another statement that the impact on his company would be ‘minimal’ and it would look at exporting the unsold vehicles or upgrading them to BS-IV. But Pawan Munjal, chairman, managing director and chief executive officer, Hero MotoCorp, welcomed the decision ‘in the interest of public health’. “We have reduced our inventory significantly in the past few months with the aim to minimise our stakeholder losses. However, environmental protection will take precedence over temporary financial benefits,” he added. Tata Motors called the decision an ‘unexpected and unprecedented move’ that will have a material impact on the entire automotive industry, original equipment manufacturers and dealer network. It said the decision is a penalty on the entire industry. The court said that manufacturers were aware of the BS-IV timeline but for ‘reasons that are not clear’ they chose to ‘sit back’ and did not take ‘proactive steps’. It said major carmakers such as Maruti Suzuki completely shifted to manufacturing BS-IV vehicles a few years ago. It criticised the rest of the industry for not doing so even though they had the technology and know-how. 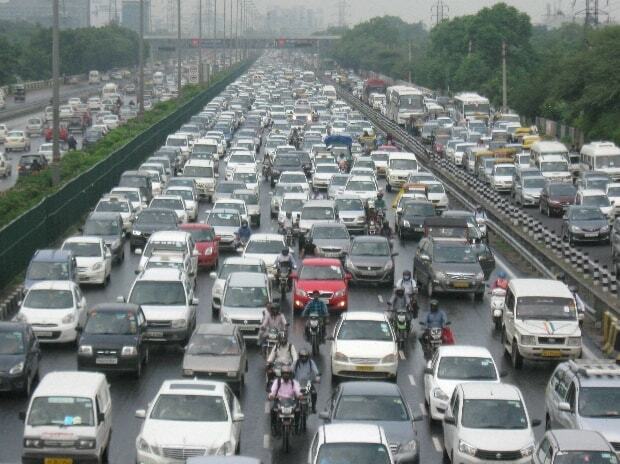 The Environment Pollution Control Authority, a body appointed by the Supreme Court, had moved the apex court seeking a ban on sales of BS-III vehicles from April 1. This, after it failed to convince companies to shift their production to BS-IV well ahead of the deadline. Pune-headquartered Bajaj Auto had also moved the court to prevent manufacturers from continuing with sales of BS-III vehicles post March 31. The company had shifted production to BS-IV ahead of others.